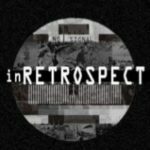 ‘In Retrospect’ explores core European values through activities of remembrance and collective reflection. During the project’s 12-month lifetime, it will bring together 640 citizens from 4 western Balkan countries (FYROM, Serbia, Slovenia & Bosnian Herzegovina) and 3 ‘old’ EU member states (Greece, Germany, Belgium), who played an active role in the Yugoslavian conflicts. Patterns of citizens involvement in the decision-making process. The responsibility of the EU towards non-EU neighbouring countries. To contribute to the formation of a well-informed public outlook that fosters analytical thinking and empathy. To draw a comparison between the media’s role in shaping public opinion at the beginning of the Yugoslavian conflicts and its contemporary role. To cultivate civic attitudes that can support effective conflict management on behalf of the EU. By recollecting the role of public opinion during the Yugoslavian conflicts, a comparison of public attitudes towards on-going conflicts can be made, as well as an analysis of its corollary impact on EU foreign policy. To promote EU integration by reassessing the EU’s expansion policy and by addressing the issue of distorted memories and false perceptions on both sides. 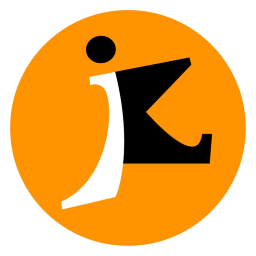 Professional development; Field research; Documentary production; Creation of a press index; Local events; Staging of the project’s closing event. Non-formal learning methods will be used in project activities in an effort to open up and provide mediation during heated discussions and to help convey complex notions in a way that is accessible to everyone. Field research data & analysis. The professional development activities will involve individuals selected by partner organisations based on their interest in the topic and commitment to the project’s aims. Interviewees for the documentary film will be people who were adults at the time of the Yugoslavian conflicts. Local events will involve the general public and individuals interested in the topic. The closing event is aimed at/open to the general public and will focus on attracting both students of varying disciplines (history, political science, media etc. ), and policymakers and members of the Balkan diaspora in Greece. The success of the project depends on the active involvement of participants and volunteers from local communities, and on their being inspired by the project programme. Create a press index of EU news and media, collected from the outbreak of the Yugoslavian conflicts. Conduct field research (find eligible interviewees; collect data from local communities through face-to-face interviews; record the interviews and process the data collected; group the data and report on the effectiveness of this process and its outcome). Help organise local events, facilitate public debates on the findings and publicise the project results in their home communities through their own channels. Participants in the field research will answer a questionnaire regarding their memory of the outbreak of the Yugoslavian conflicts and their opinions on the evolution of the EU’s foreign policy. The opinions of selected interviewees will be filmed and edited. Participants in the local events will join the project’s network and will be asked to give their views and impressions both orally during the event, and as a written quote for the project website. Those taking part in the closing event will attend the presentation of the project findings and video projections. They will then have the opportunity to network with the project contributors and to enjoy food and music from partner countries.